There are countless ways car owners can customise their vehicles, and even when limited to aesthetic changes, the choices range far and wide. One way to update a vehicle’s look is with a body wrap, and with 3M Auto Wrap you can apply a new look that is of high quality, protective of paintwork and completely reversible should the time arrive for yet another new look. The upcoming Kuala Lumpur International Motor Show 2018 is where car enthusiasts can get up close and personal with the latest in automotive care products from 3M, and discover the science behind 3M Auto Wraps that makes it easy for its installers to attain the best possible results. High performance products prove their mettle in the white heat of competition, and for automotive products, motorsport is among the sternest of proving grounds. Enter Motorsport Playground, a 3M Authorised Applicator which has travelled the world for the application of 3M Auto Wrap products on race cars and road-going vehicles. If you have watched or seen images from local or regional race meetings, chances are that you’ll have seen the work of Remus Chang, founder and creative director at Motorsport Playground. A Bachelor of Arts graduate in creative advertising, Chang has great passion for cars and design, which is made evident in the nature of his work. 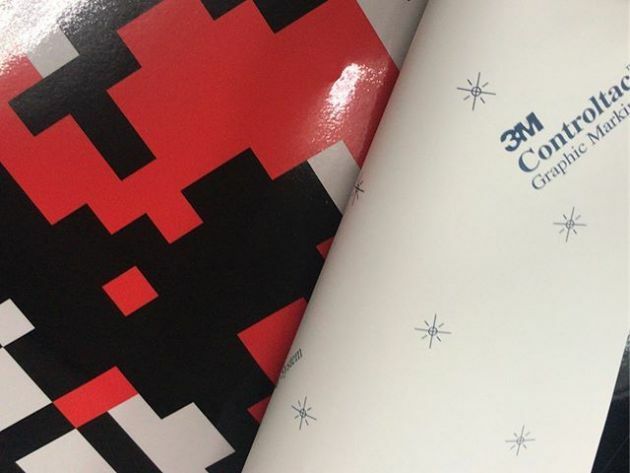 Why 3M? “I choose to work with the 3M 1080 Wrap series of products because they are relatively easy to apply, as they conform well to complex curves and contours often found on a car’s bodywork. The wide selection of colours gives me room to be creative,” he says. Meanwhile, 3M wraps’ strong adhesion give Chang’s creative work a secure hold on the cars they are applied to, yet they won’t damage the bodywork’s substrate, he adds. His support of racing endeavours aside, Chang, with Motorsport Playground has also carried out personally commissioned works from Malaysian royalty as well as celebrities, both local and abroad. You can follow more of Chang’s work on Motorsport Playground’s Instagram. Paint damage from the removal of lower quality competitor products. The 3M range of auto wraps is well-proven, given its extensive travels as part of the growing Motorsport Playground portfolio. If you’re interested in pimping your ride out with 3M Auto Wrap, e-mail 3M Authorised Distributor K One Vinyl Solution at konevinylsolution@gmail.com to find out more. Head on to the 3M exhibit at the upcoming Kuala Lumpur International Motor Show 2018, where you can check out even more of the brand’s automotive product range. RSVP your attendance to visit the 3M booth at KLIMS here and be instantly rewarded with a 10% Lazada discount code that can be used on the 3M Auto Care Flagship Store.